Jihad Watch : As I detail in my new book The History of Jihad From Muhammad to ISIS, in the late 770s, the Abbasid caliph al-Mahdi traveled to Aleppo, where twelve thousand Christians greeted him with great honor. Al-Mahdi, however, was not disposed to respond in kind, and told them: “You have two options. Either die or convert to our religion.” Most of the Christians chose to die rather than embrace Islam. 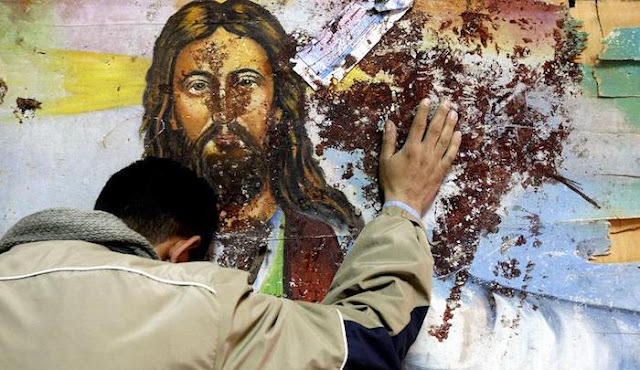 In and around Baghdad, he noticed that the Assyrian Christians had built new churches since the Muslim conquest, in violation of dhimmi laws; he ordered them destroyed; five thousand Christians in Syria were given the choice of conversion to Islam or death. Many stayed true to their ancestral faith and chose death. Those who do not remember the past are condemned to repeat it. Click here to preorder The History of Jihad, the first and only comprehensive history of jihad worldwide — not just against Europe, but against India, Africa, Israel, the U.S., and more — in the English language.